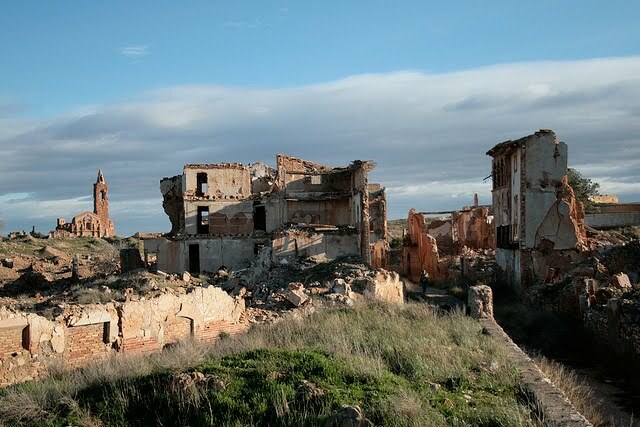 As you approach the ghost town of Belchite in the Spanish province of Aragon the soil turns a deep red, almost like a sign that the place you are approaching is soaked in the blood of battle. Belchite is perhaps the most powerful reminder in Spain of the devastation that war (in this case the civil war of 1936 – 39) can bring to human populations. It remains today as it was at its surrender on 1 September 1937.